Sgt. 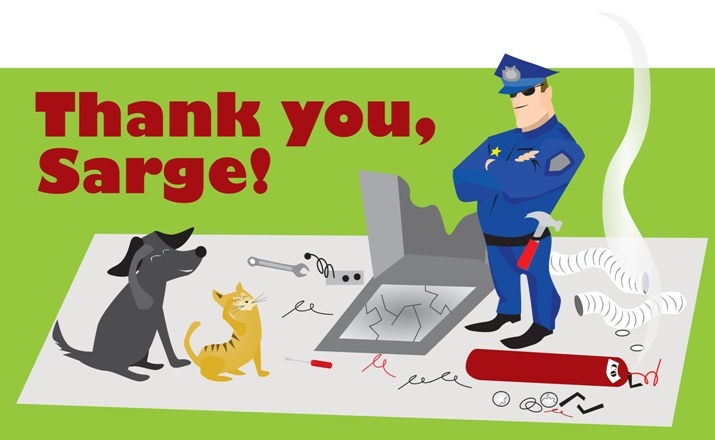 Karl Bailey of Seagoville Animal Services is an inspiration: a veteran of the police department, he took over a rural kill shelter in Texas with no experience, abolished the gas chamber on his first day, ordered that the killing come to an end, and last year saved roughly 98% of all the animals. 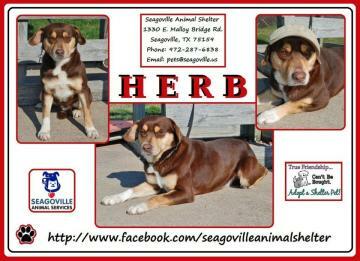 Seagoville, Texas just might be the safest community in the U.S. for dogs and cats entering shelters—on average, only one animal loses his or her life ever month, due to extreme illness, injury, or for dogs, aggression. Along with over 300 others in attendance, I had the pleasure of not only hearing him speak in Dallas, where both of us presented at a day-long, sold-out No Kill workshop, but I was able to spend some time talking with him. No law enforcement agency can function well without a great sergeant. The role of the sergeant, the front line supervisor, is considered by many to be the most important and influential in a law enforcement organization. And since that also applies to the front line supervisors in a shelter, the future looks very bright indeed. “I really couldn’t do any of this without my volunteers. They are the true heroes in all this.” – Sgt. Karl Bailey, Seagoville Animal Services. Nathan Winograd: How did you, having no experience, come to running the animal shelter for the City of Seagoville? Sgt. Bailey: Prior to 2010, the shelter was run by a different department and was killing about 70 animals a month. 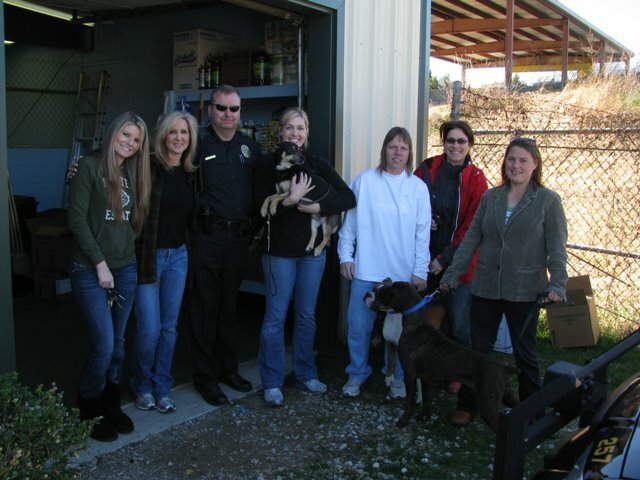 In April of that year, the police chief told me our department was going to take over operations of the shelter and he wanted me to oversee it. I told him I didn’t know the first thing about running a shelter, so why me? He told me it was because I loved dogs. I do love dogs, but I also like getting my haircut and I’ve gotten a lot of them, that didn’t mean I could be a barber. NW: It turns out you were wrong and the Chief was right. How did you approach the job? SB: Yes, he was right. I suppose that is what makes him the Chief! Not that it mattered, he was the Chief and I was the Sergeant. He told me I was going to do it and so I was going to do it. But I did ask him if I could think about it, and to his credit, he said yes. After doing so, I decided I would. But I said I would be willing to do it under two conditions: We must be No Kill. I was not going to kill animals. And second, we needed to eventually build a new shelter since our existing one was small and falling apart. We met with city leaders and I made my pitch to them. I also told them that once we decided to be No Kill, there would be no going back or the animal lovers in the community would take up torches and pitch forks and storm the city gates. I also wanted them to know what this meant: more animals, partnering with rescuers, volunteers in the shelter, a need to revamp operations, and even possibly a strain on resources. They agreed. NW: How much time did you have from that point to get up to speed about running a shelter, particularly a municipal shelter that did not kill animals? SB: In December of that year, I was told we would be taking over on January 10th of 2011. I did a lot of research about the No Kill movement, I reached out to local rescue groups. I attended animal control officer training, and I even looked for shelter management software, since everything was done at that point on paper. NW: In addition to reaching out to rescue groups, what did you do to make sure the shelter was oriented toward lifesaving? SB: I reached out to local humane societies, a spay/neuter group, I put a “wish list” on Amazon for people to donate things we needed, I created a Facebook page, I set up a donation account and publicized our needs on the City’s website as well as in the local newspaper, I even reached out to local businesses, veterinarians, citizens, and charitable organizations for help. NW: Describe your first day. What was it like? What did you do? SB: The first thing I did was shut down the gas chamber for good. But since the gas chamber was the only place in our run down shelter that was water proof and air tight, we now use it for food storage, although we are going to completely dismantle it. I ordered that the killing come to an end. And then I made a needs list and got to work on procedures to help us move the animals in and out as efficiently as possible into loving homes and into the arms of our rescue partners. NW: You did more that first day than many shelter directors do their entire careers. What did you do on day two? SB: In addition to working on new procedures and organizing, I reached out to a core group of people to start a volunteer program. I asked them to help me recruit others, to establish a non-profit to help us raise needed funds and supplies, and more, utilizing each volunteer’s unique talents to fill any gaps in the safety net. As we continued, we created a foster care program. I started doing offsite adoptions in high traffic areas such as pet supply stores, and even in non-traditional businesses, so long as they were pet-friendly. I opened the shelter on weekends to do more adoptions. I advertised our animals in newspapers, on television, online such as the City’s website and Facebook, and through local businesses. I partnered with our local high school, which has a veterinary assistant program. I partnered with Amazon. I partnered with a community spay/neuter group. I wish I had known about you and some of the others who had done this in the past, but essentially, I recreated the No Kill wheel from scratch. NW: You seem to focus a lot on adoptions and promotions of animals. Are those your core efforts? SB: Yes. By opening on the weekends, we’ve adopted more animals, since people work during the week and can’t always come to the shelter. By doing offsite adoptions, we’ve also reached people who might not have known about us or come to our shelter. We are constantly advertising and promoting our animals everywhere and anywhere we can. We take beautiful photos so that animals look their best, we create nice looking flyers, we dress up our animals for adoption events, and when we get jammed, we reach out to the media and community for help. In fact, it is the volunteers who always step up. I really couldn’t do any of this without my volunteers. They are the true heroes in all this. NW: How would you describe your shelter now? SB: We’re the little shelter that could. We saved 98%. Not bad for my first year. NW: Not bad? Given that you killed fewer animals all year than they used to kill in a week, I would say that is the understatement of the year. Thank you Sgt. Sgt. Karl Bailey will be presenting at the national No Kill Conference in Washington, D.C. He’ll sit on a panel with the heads of other municipal shelters who ended the killing in their community. Learn more at nokillconference.org.